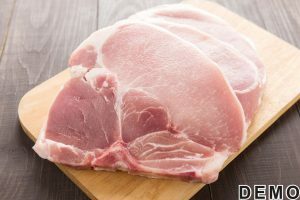 Pork cuts and roasts are an excellent addition to any recipe and menu. The farmers that we work with are good stewards of their animals, making sure that they have the best possible life to produce the highest quality and versatile meats. Our expert butchers are very skilled at producing a wide range of products for your needs, including carvery joints, individual and portion controlled preparations. From pork chops, steaks, cutlets, belly, ribs, sausages and joints. Our top grade selected pork is tender and has a soft, delicate texture that delivers big flavours. And of course, the best bit is the crackling. The source, quality and freshness of our pork are all equally important to our discerning customers - who also care about the welfare of the animals. We take enormous pride in the quality of the pork we sell. Contact us for more information at .